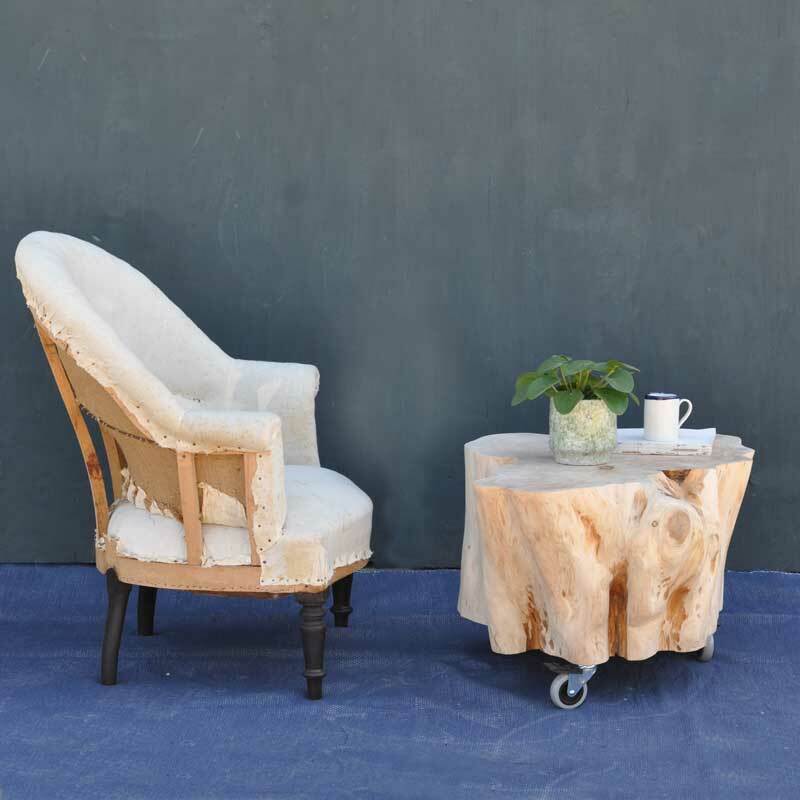 A fabulously tactile and smooth tree trunk coffee table on wheels. 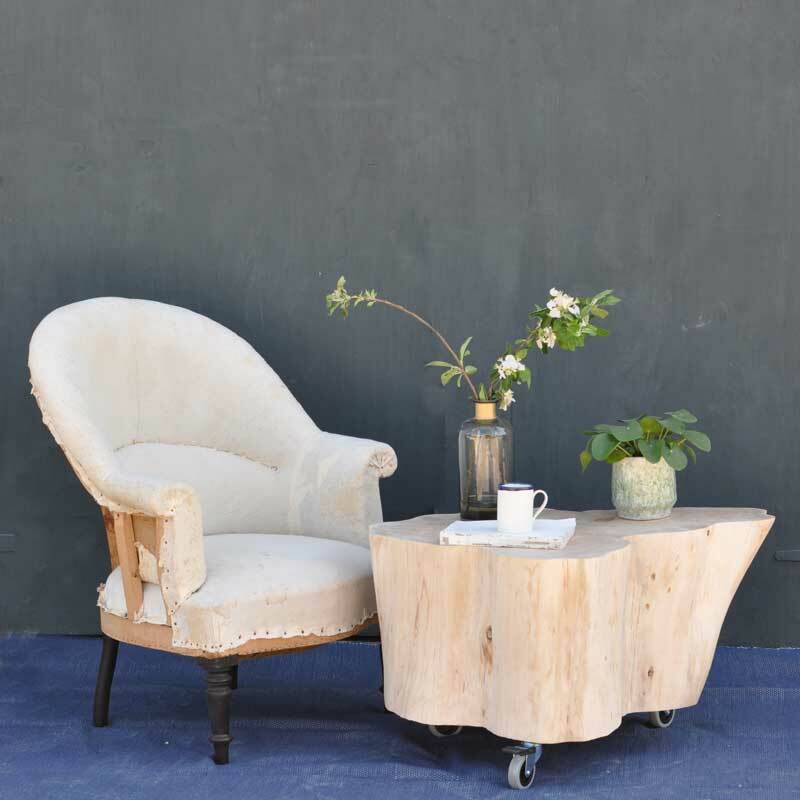 The rings, knots and natural imperfections are the star of the show in the organic piece of furniture. 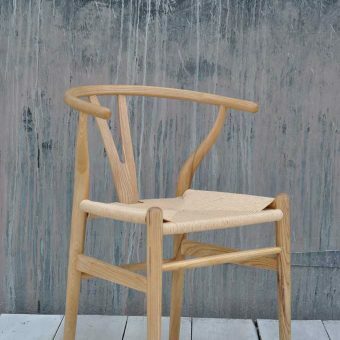 Perfect for the natural, modern & minimal home. A Pallet service will be used for delivery. This is a signed for service. If no one is at home they will leave a card with their contact details to reschedule. After one further attempts the item will be delivered back to Home Barn. 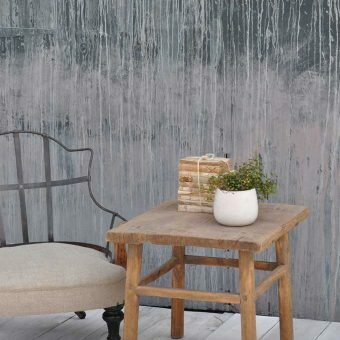 Nestled in a 17th-century tithe barn in the heart of Little Marlow, Buckinghamshire, Home Barn is a destination interiors store and online shop filled to the brim with vintage, reclaimed, industrial, antique and retro furniture and accessories. 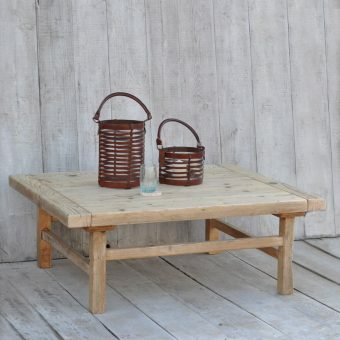 The destination barn interiors store for your uniquely stylish home. 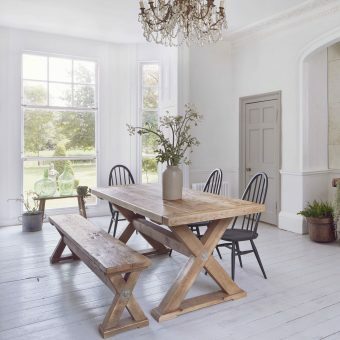 Home Barn is situated just 25 Miles west of London in an area of outstanding natural beauty in the Chiltern Hills. The River Thames runs through the historic market town of Marlow just a mile along the road. Marlow and nearby Henley on Thames are worth a visit for their lovely shops café’s and notable Michelin starred restaurants. 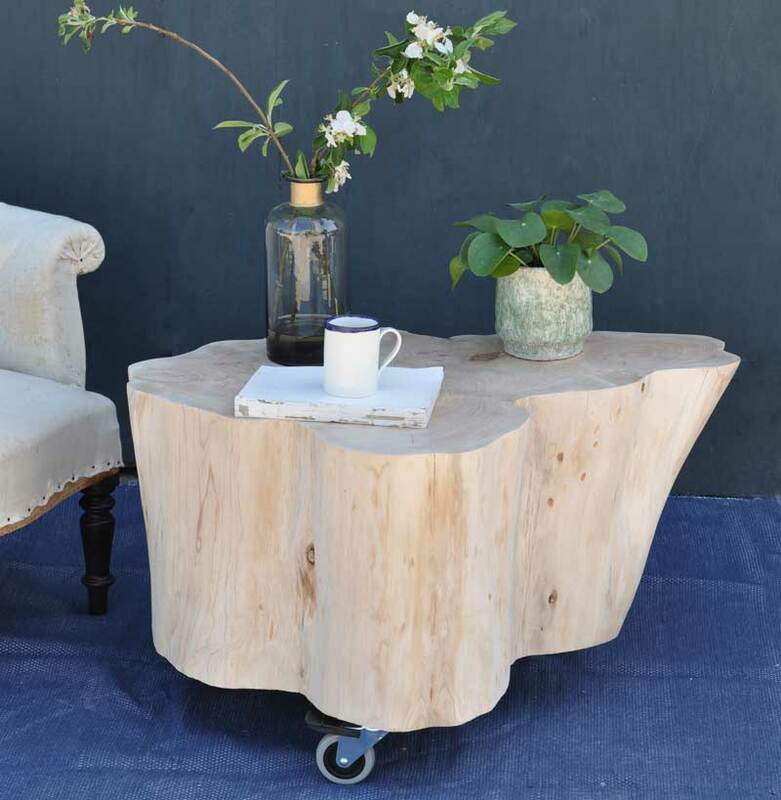 Tags: cypress, log table, petrified wood coffee table, stump, stump table, table, Tree, tree stump coffee table, tree trunk table, Trunk, wheeled log coffee table.